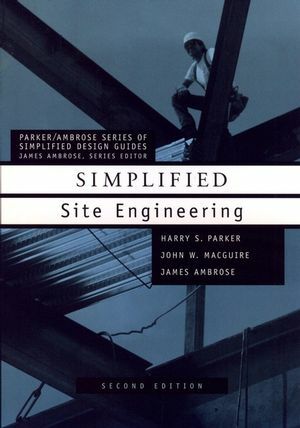 A concise, highly accessible source for site engineeringbasics. Featuring a simplified, accessible style with numerous examples ofproblems and their solutions, as well as references and practicalaids that facilitate home study, this is the ideal surveying andsite-planning primer for students in architecture, landscapearchitecture, and civil and structural engineering. It is also anexcellent handbook for working architects, building contractors,and professionals in related fields. HARRY S. PARKER (DECEASED) was professor of architecturalconstruction at the University of Pennsylvania. JOHN W. MACGUIRE (deceased) was professor of architecturalengineering at the University of Pennsylvania. JAMES AMBROSE has practiced as an architect in California andIllinois and as a structural engineer in Illinois. He recentlyretired as professor of architecture at the University of SouthernCalifornia. Computations for Cut and Fill.